Daily goal setting is a must. Babette Teno reveals the time management routine of top leaders. Also how to easily connect with strangers while you’re out and about. Asides from being a top MLM leader at her company, Babette Teno is a mother, nutritionist, an entrepreneur, a coach, a writer and a speaker. She does a lot of outreach and volunteer work, and is currently forming a Non-Profit Organization to provide tools, training and resources for women who have been abused. 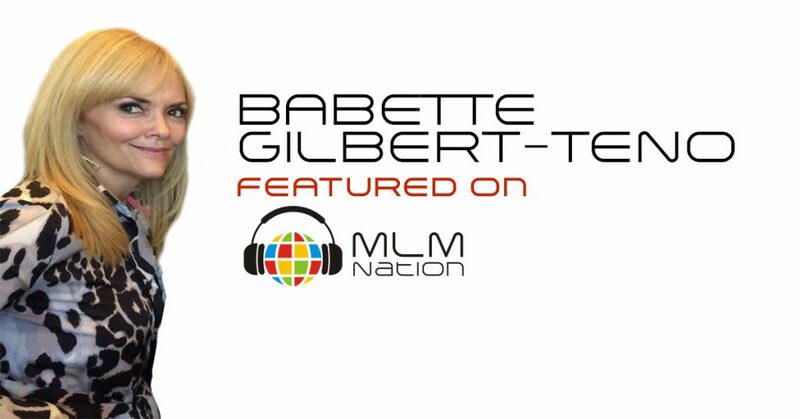 Babette was first introduced to Network Marketing 20 years ago. Without any experience or success to speak of, she was re-introduced nearly 3 years ago. Since then, Babette quickly became one of the top women in her network marketing company while building her business part-time, serving as a Director at a Health Sciences University; working and commuting 16 hours a day!